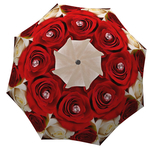 This elegant travel umbrella bouquet sprinkled with diamonds makes a great wedding gift. Buy several for the bridal party for some stunning photos. 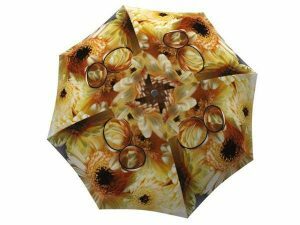 This umbrella is also the perfect gift for a wedding shower! 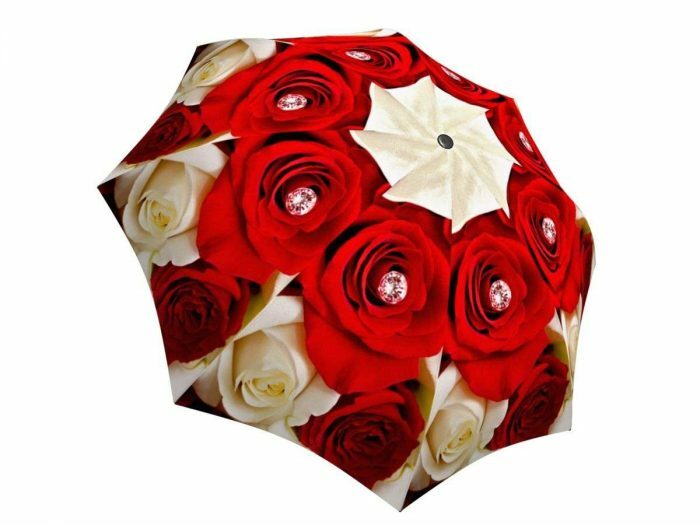 The delicate bed of roses on the durable fabric of this gorgeous umbrella will be the inspiration for a perfect wedding. Roses are a classic and timeless idea for wedding flower arrangements and bouquets. To make the theme stand out even more these beautiful umbrellas will do the trick! This vibrant rain apparel is not only a stunning prop, but it will also protect you in case of unwanted showers. If there is a sudden storm, this unique rain gear will become your most needed wedding accessory. 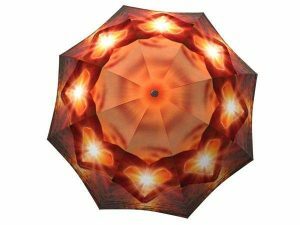 This designer umbrella is also great as a wedding parasol shielding you from the rays of the sun that could melt your beautiful wedding makeup, insuring that you look your best throughout your special day.